Dental implants are titanium posts placed in the bone under your gums. Titanium is commonly used in other orthopedic procedures such as knee or hip joint replacements. The bone bonds to the implant creating a solid foundation to attach a single tooth or multiple teeth. Missing teeth can compromise chewing function and be embarrassing. 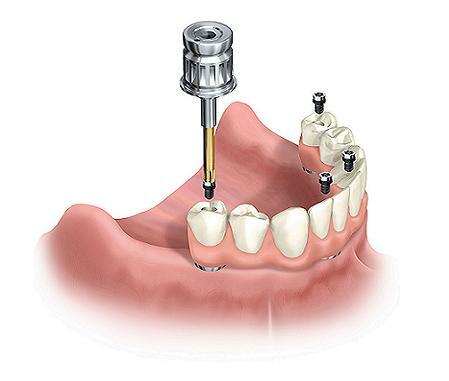 Bridges require grinding down the adjacent teeth to cement a bridge over the prepared teeth versus an implant can replace a tooth root and restore the missing tooth without the involvement of other teeth. Dentures can move and are loose. 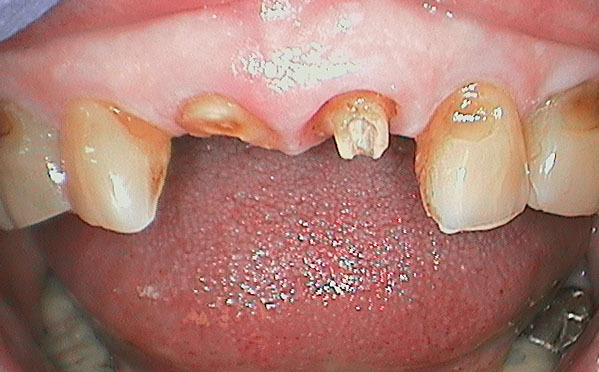 They press on the gums and can cause sores in the mouth. If you have an active lifestyle, a loose denture can be embarrassing. Implants allow for the same biting strength as natural teeth. Implants look and feel so natural that most of our patients can’t tell which one it is. 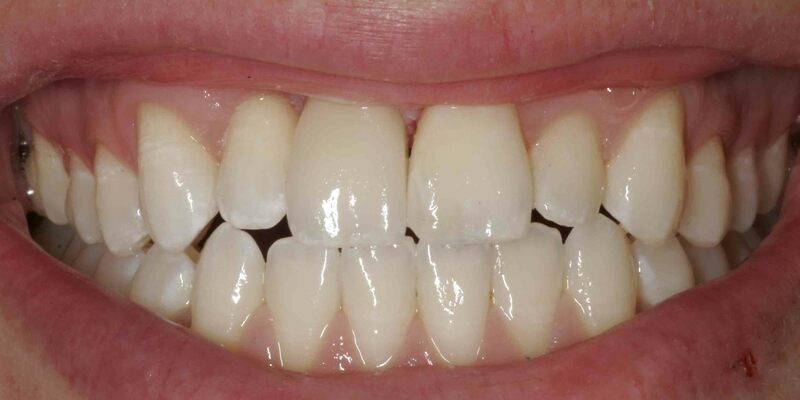 Implants can be brushed and flossed just like natural teeth. As teeth are lost, facial structures collapse. 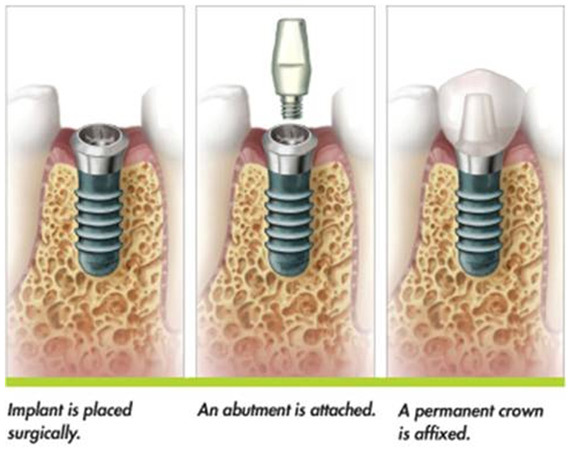 The dental implant is placed where the missing tooth was lost. 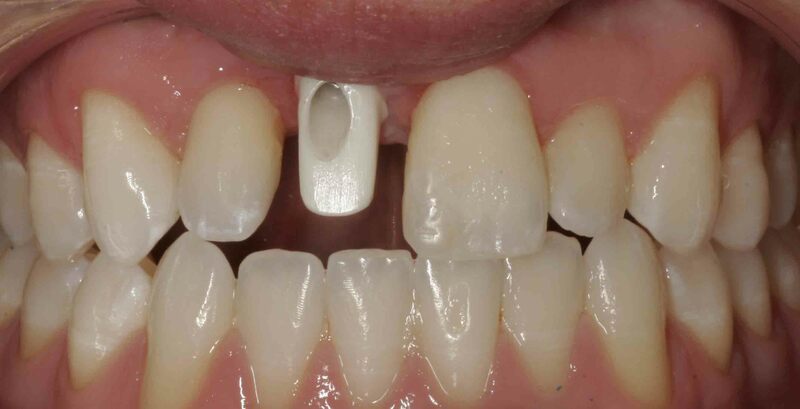 When the implant becomes stable then an abutment is connected to it to secure a crown. 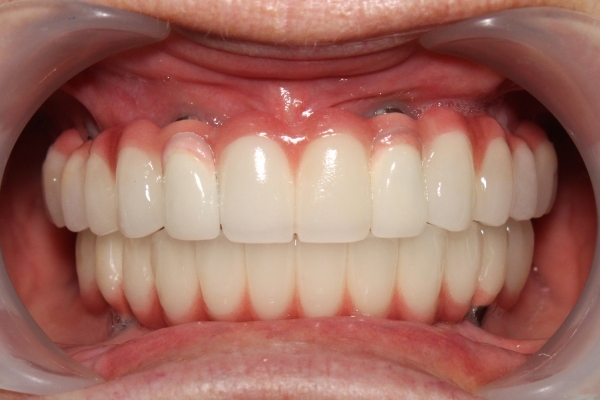 The tooth colored ceramic crown then replicates the missing tooth. 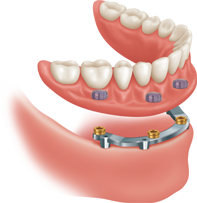 If more than one implant is placed then bridges can be attached to replace the missing teeth. Dentures can be secured into place with implants. 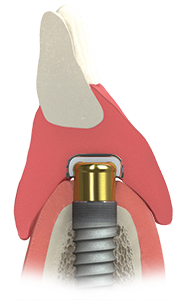 Specialized clips are used to engage the implants and provide retention. 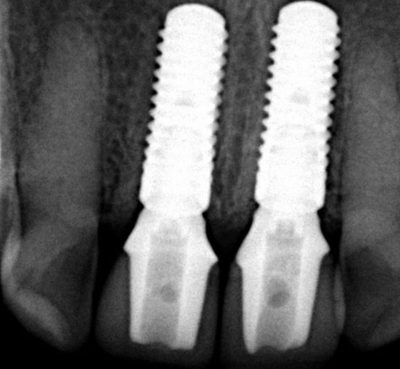 Sometimes 2 implants is all it takes to eliminate the need for messy denture adhesives. To increase stability and retention, a specialized custom milled titanium bar can be attached to the implants. This bar allows the implants to share the forces of chewing. The denture can then be clipped onto the bar. A patient once told me that he did not want to take his teeth out to be cleaned. He did not want these teeth to ever accidentally fall out. 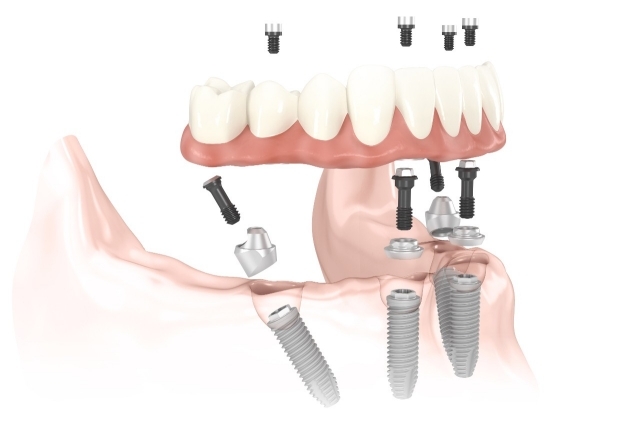 A screw retained fixed prosthesis is the perfect way to replace multiple missing teeth. 4 or more implants are placed. 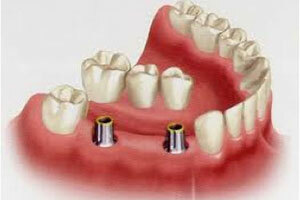 A denture or prosthesis can then be screwed onto the implants. The teeth are then brushed and flossed in your mouth. Dr. Joe Nguyen will review your case and help you determine what treatment you could benefit from. X-rays, photographs and records can help determine if you are a good candidate for implant dentistry. We can also give you alternative solutions to help determine what fits your budget. 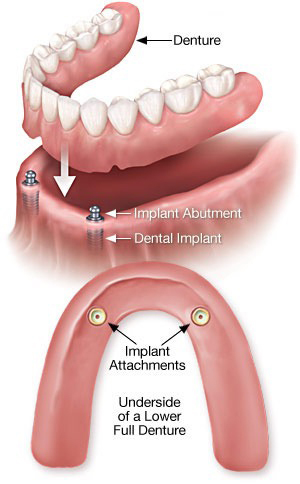 Dr. Joe works with an implant surgeon to effectively plan and place the implants. 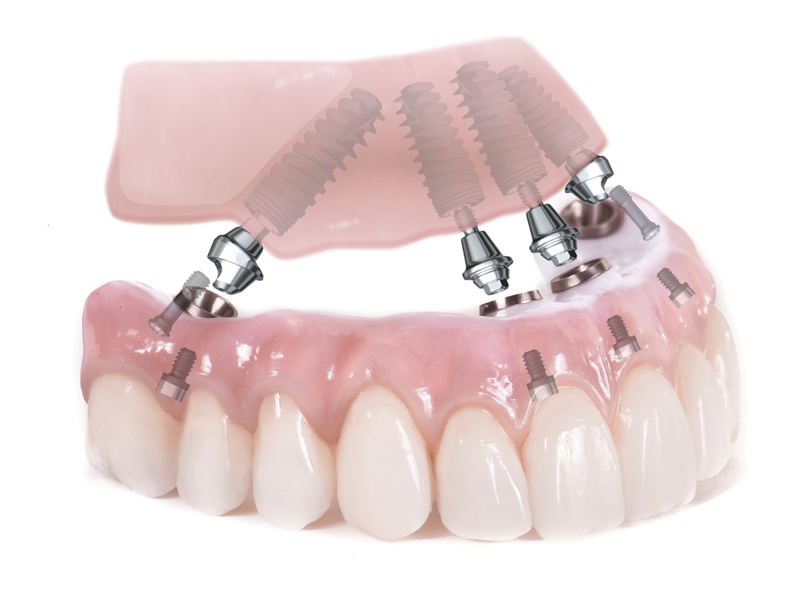 After the implants are successfully integrated then the teeth can be attached to it.